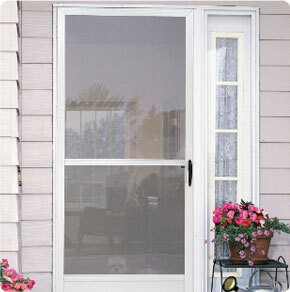 This door is a combination of an aluminium outer frame with a steel-welded decorative insert grille. It's easy on the eye and light on the pocket and is your best bet if you're on a budget. 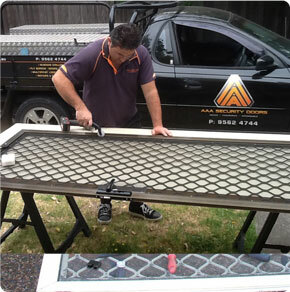 With aluminium doors Melbourne, you can select from a variety of inner steel grilles to go with your outer frame. 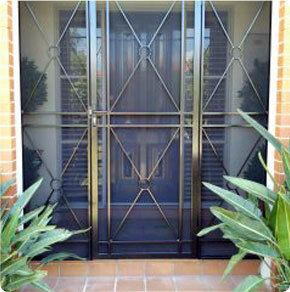 A more ornate option for a front door is a colonial casting grille, also known as a 'barrier-door'. 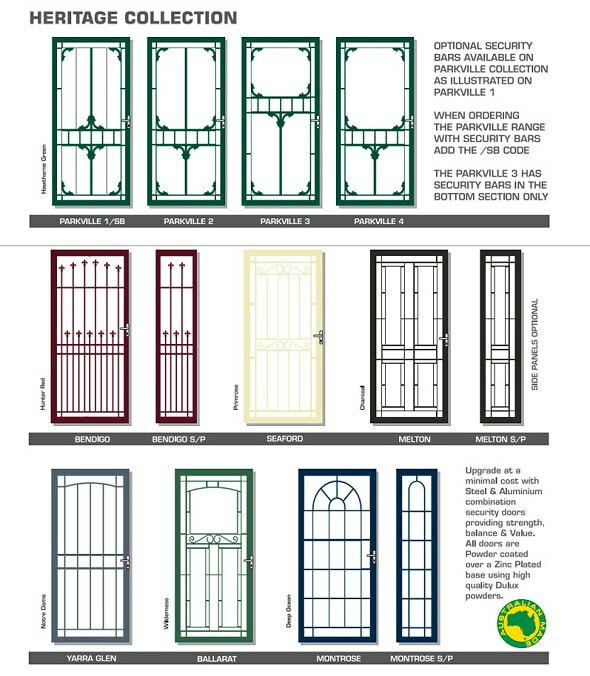 Made from cast alloy, you can pick from a massive range, each with pleasing patterns and at attractive prices.